What Does Tony the Balloon Guy Do? As you probably guessed from the name and photos, Tony the Balloon Guy is a family entertainer specializing in balloon entertainment, balloon sculpture, balloon twisting, balloon art - whatever you'd like to call it! From the coziest living room birthday party to the world's largest cruise ships and the biggest corporate events for the likes of Kellogg's Cereal and Disney World Parks and Resorts, Tony the Balloon Guy has the balloon entertainment covered. Big, crazy, colorful hats, with all sorts of loops, twists, curls, hearts, wings, spirals, beads, bubbles, bows, propellers, flowers and antennae. The kind of stuff Dr. Seuss would dream of after washing too much pizza down with a two-liter of Dr. Pepper. �The kind of stuff scientists guarantee to make any place or event 93% more festive. Now that's a crazy hat! Entertainment like this is why hardly a day goes by (literally) without someone telling Tony the Balloon Guy something along the lines of, "I've seen a lot of people do this, but you are by far the best!" "You're funnier than a monkey!!!" one little boy told Tony the Balloon Guy, just minutes before a little girl asked Tony the Balloon Guy, "Did you eat a hundred boxes of sugar this morning? Speaking of entertainment... �in addition to making balloons at parties, Tony the Balloon Guy is a balloon stage-show performer and storyteller at libraries, daycare centers, schools, churches, summer camps, and even retirement facilities. He's a real pro when it comes to humor, interaction, audience participation, dealing with distractions, and so on. You may have even seen his antics on TV, when he appeared on Charley's World, with Charley Belcher, on Tampa's Fox TV affiliate, WTVT. These entertainment skills carry over to birthday parties and other one-on-one events. 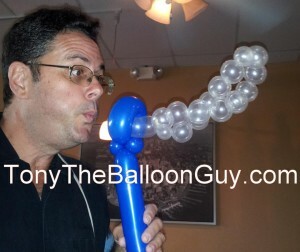 �As good as the balloons are, Tony the Balloon Guy's priority is making folks laugh and feel special. �Watch the smiles. �Listen to the giggles - and guffaws. �Jump aside to avoid certain death when a mob runs by, swinging their balloon swords or running/flying/swimming their balloon animals along. �Silly antics, corny lines, and expert sculptures make for memories that last. Everyone has something to celebrate.�Birthday parties, churches, schools, weddings, fairs, festivals, company picnics, employee appreciation days, grand openings, restaurants... if you want families to attend your event and have a good time, Tony the Balloon Guy will help create the festive atmosphere that makes you look good and your event succeed. Hernando County? Citrus County? Pasco County? Sumter County? Lake County? Pinellas County? Hillsborough County? Tony is your (balloon) guy! The second and fourth Tuesdays each month, 5-8pm, Taziki's Meditteranean Cafe, 3825 Northdale Blvd, Tampa, Florida. With Face Painter Phyllis. 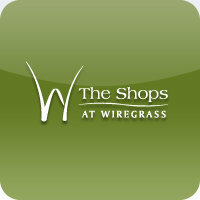 First Wednesday each month, 10-11am, The Shops at Wiregrass. The mall is at the corner of State Road 56 and Bruce B. Downs Blvd., about 2.5 miles east of Interstate 75, in Wesley Chapel, Florida. With Face Painter Phyllis. Thursdays, 5-8pm, Anthony's Italian Restaurant, 8809 Mitchell Blvd, in the Sweetbay shopping center at the corner of Mitchell and Little Road, south of State Road 54, Trinity/New Port Richey, Florida. With Face Painter Phyllis. Saturdays, 9-11am, Clearwater Beach Marriott Suites on Sand Key, 1201 Gulf Blvd, Clearwater Beach, Florida. Often with Face Painter Phyllis. Sundays, 9-11am, Clearwater Beach Marriott Suites on Sand Key, 1201 Gulf Blvd, Clearwater Beach, Florida. Often with Face Painter Phyllis. Tony the Balloon Guy also appears often at open-to-the-public events like festivals, grand openings, school events, church events, etc. �You can find these events by making Facebook friends with "Tony Balloonguy." Tony the Balloon Guy says YES to friend requests! 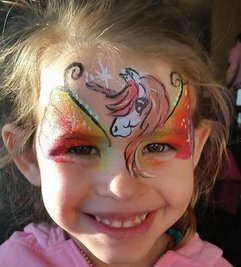 If you are looking for a pony, a juggler, a magic show, a face painter, a glitter tattoo artist, an airbrush tattoo artist, a balloon twister, a congratulatory or celebratory balloon delivery, a balloon decorator (arches, columns, centerpieces, canopies, etc. ), or even a fun fortune teller (upbeat and entertaining tarot card readings, palmistry and quick numerology), of course you've come to the right place. But what if you're looking for a few of those? Say, a magic show followed by a balloon artist? Or a face painter, a pony and a balloon artist, all at the same time? Well, you can hunt through entertainer listings and hire performers individually. If you want to spend the time. Or you can hire someone to book the entertainers for you. If you want to pay that agent, promoter or event planner a commission - on each performer! 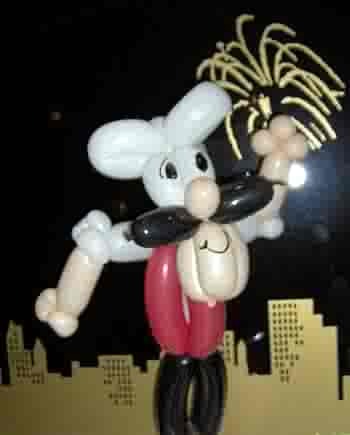 Or (and this is the BEST way), you can hire multiple best-quality entertainment services all at one time from Tony the Balloon Guy's family business of variety entertainers. Then, instead of you paying more to middlemen, Tony the Balloon Guy will combine services, call it a package, and charge you less! It's like a value meal! Only you don't eat it. 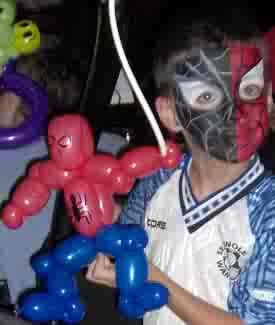 Because Tony the Balloon Guy's business is a family business, when you need a balloon artist and a face painter, Tony doesn't hire a friend who paints faces and then charge you a little more than he pays her - he brings his talented wife or daughter. If you need a pony ride, Tony doesn't hire some guy with a pony and then tack on a percentage for himself - he gets a friendly little horsie out of the back pasture, and a family member walks the kids around while you snap the best pictures ever. When you need a magic show or juggler before or after an hour of balloons, Tony breaks out those skills. This is how Tony the Balloon Guy's discounted party package rates give you MORE entertainment for your money than you would get hiring entertainment activities from anyone else! See something on this site that you like? Please contact Tony the Balloon Guy as soon as possible - it's so disappointing to have to tell folks, "Sorry, that time is already booked." Many times we mean to come back to a page in the future, but then we can't find it. 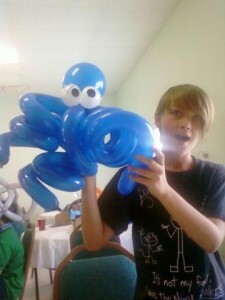 This might be a good time to bookmark TonyTheBalloonGuy.com or, even better, send an e-mail right now with a request for specific or general additional information - then you won't have to worry about forgetting to do it later, or losing your way back to this page. 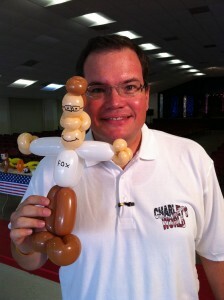 Tony the Balloon Guy will be happy to get right back to you. Tony the Balloon Guy's work has been covered by and/or photographed for both print and online editions of the St. Petersburg Times, the Tampa Tribune, the Orlando Sentinel, and smaller newspaers like the Gulfport Gabber and The Laker of Pasco County. 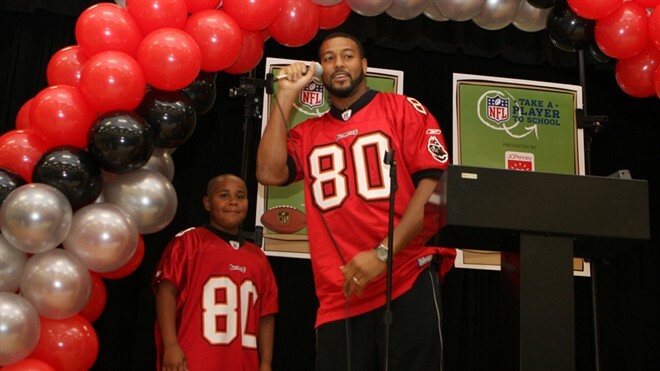 He has also appeared on Emmy-award-winning Charely Belcher's "Charely's World," a "My Tampa Bay" feature on WTVT-TV Fox 13. Remember: If you hire entertainment before you get a quote from Tony the Balloon Guy, you might pay way too much! Mrs. Balloon Guy and her daughter are face painters! Face Painter Phyllis and Caitlin have done face painting for kids and adults at the Florida Aquarium and for the Tampa Yankees and the Tampa Bay Lightning and the Dunedin Blue Jays, as well as at countless events with Tony the Balloon Guy. 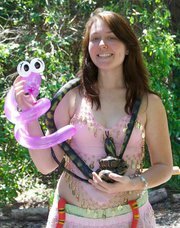 Book a face painter on her own, or with Tony the Balloon Guy for a package price! Have the kind of quality you'd find at Busch Gardens, Disney World, or Universal Studios, at your party or event! Also available: glitter tattoos - perfect for pool parties, and just for events on hot, sweaty Florida days! 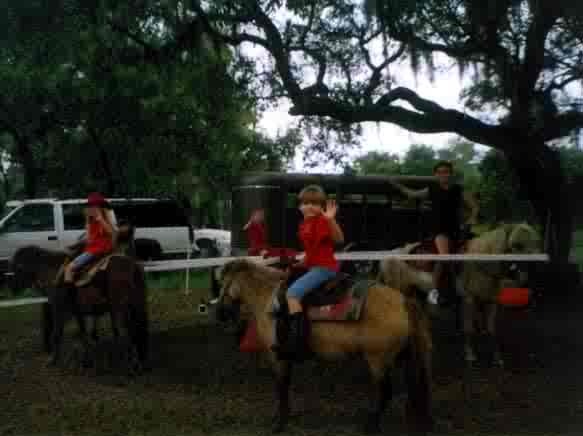 Tony and Phyllis also offer pony rides for birthday parties and larger events. Kids love ponies!!! Delivering balloon arrangements personally to your special someone, or perhaps, as in this case, placing an arrangement in the yard for your special someones to wake up to! “Thanks, Tony, for the great job yesterday. You had those Kids mesmerized. It made the day for many of them. I very much appreciate the way you work to make them feel important. Thanks again. “Great job yesterday! Everyone had a wonderful time. I will recommend you to anyone who is having a party! Thanks to you and your family for making my grandson, Xavier�s, 2nd birthday so special. “I was wondering if you may be available for a birthday party on June 25th in Trilby. I tried to get you last year, but unfortunately you were already booked, so I thought I would check with you a little earlier this year. The person that we had to settle with last year was horrible, the kids were very disappointed. Figured I would try to get the best this time around. “Hi Phyllis. I haven't had a chance to email you, but I want to thank you. You and Tony were everything you said and MORE. I loved everything about you guys, and I'm so glad we had you both. Tony is awesome and so are you." ... Tony the Balloon Guy? 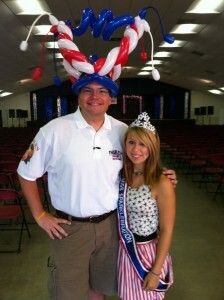 United Way 20th Anniversary in Hernando County (Spring Hill) - Thank you Chick-Fil-A for sponsoring my appearance! Delivering balloon arrangements to mark special days, and doing balloon-o-grams to celebrate (or embarrass!) special people. First Communion celebrations and other milestone markers. Birthday parties for ages 1 to 90 (literally 90!)... so far (but there's no age limit for having fun!!!) We've done parties in homes, and at Chick-Fil-A, Rainbow Rollerland, Stop N Play, The Empress Tea Room in Carrollwood, Crews Lake Park, Ballas Point Park, Anderson Park, The St. Petersburg Yacht Club, Pizza Hut, Chesapeake Bay Crab House, Lagerheadz Bar and Grill, Springhill Park, The Lake House, Brooksville's Coney Island Drive Inn, Lake Idamere Park, Spring Hill Diner, Mr. Armadillo's Backyard, the Fun Zone, Revelry Bar and Grill, Jungle Bounce, Hungry Harry's Famous BBQ Lake House, Pump it Up in Westchase, Applebees, China Wok, Spartan Manor, Xtreme Adventures Laser Tag, Embassy Suites Hotel, the Nickelodeon Hotel resort, community club houses, the Rising Sun Cafe, Lowry Park, Dade Battlefield Historic State Park, and many other venues. Available as a roaming entertainer or to perform 30- or 45-minute shows of balloons, magic, juggling and/or comedy for birthdays, churches, schools, libraries, scouts and more. Building festive arches, columns, canopies and other balloon decor for grand openings, proms, homecoming dances, weddings and more. Upbeat and entertaining tarot card readings, palmistry, and quick numerology for grown-ups at company parties and other corporate events. Amazingly accurate, too! Some of the links on this site, especially related to our blog aren't working right now, because of technical issues with our website host. We are working on getting that fixed! (Wow, there are a lot of clients on this list. You can just keep scrolling down and scrolling down. Company picnics. Company parties. Entertainment for seniors. Restaurant entertainment. Holiday events. Concerts. Fairs. Festivals. Grand openings. Trade shows. Country clubs. Community events. Charity fundraisers. Scouts. School carnivals, fairs and festivals. Church carnivals, fairs and festivals. Employee appreciation events. Customer appreciation events. Juggling shows. Balloon shows. Libraries. Summer camps. Car dealerships. Malls. The performing arts center. Daycares. Entertaining Santa's line. The works. And this doesn't even include the hundreds of private families who have hired Tony the Balloon Guy for birthday parties, family reunions, Halloween parties, Christmas parties, first communion celebrations, and so on. Now this side of the screen is just a big white space. Maybe this would be a good spot to put some words people might key into search engines to help them find the entertainment that they need - words like: balloon artist, balloon artists, balloon art, balloon animals, balloon twister, balloon twisters, balloon party, balloon parties, party balloons, balloon twisting, stage shows, storyteller, storytellers, storytelling, balloon delivery, balloon deliveries, balloons delivered, send balloons, balloons sent, balloon decor, balloon decoration, balloon decorations, balloon arch, balloon arches, balloon column, balloon columns, balloon centerpieces, face painting, face painter, face painters, pony ride, pony rides, pony party, pony parties, party pony, party ponies, birthday pony, birthday ponies, princess party, princess parties, party magician, birthday magician, birthday magic, birthday entertainer, birthday entertainers, birthday entertainment, party entertainer, party entertainers, party entertainment, party ideas, birthday ideas, party activities, birthday activities, birthday themes, party themes, kids party, kids parties, childrens party, childrens parties, childrens magic, kids magic, birthday magic, magic birthday, party magic, magic party, etc. Consistently named "The Best Balloon Person I've Ever Seen," international balloon artist/balloon twister Tony the Balloon Guy ("Tony Balloonguy� on Facebook) and family provide special-occasion balloon delivery/balloon deliveries and also entertainment (party packages that can include�balloon twisters/balloon man/balloon animals, face painters/face painting - chiefly Face Painter Phyllis, glitter tattoos, airbrush tattoos, pony partiespiano music, and upbeat and entertaining fortune teller, a magic show magician, etc.) 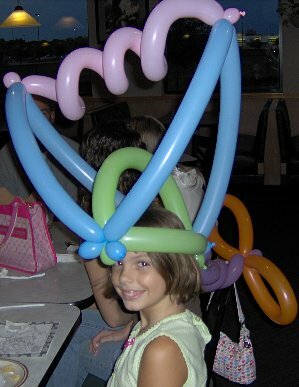 for birthday parties; family reunions; family picnics; trade shows; school parties, fairs, carnivals, festivals, assemblies and other events; church parties, picnics, festivals, outreach events and holiday events; grand openings, corporate/company picnics, parties, employee appreciation days and such; holiday parties; kids� parties/children�s parties; civic association picnics, parties and other events; and more, throughout the Tampa Bay area (Tampa, St. Petersburg, Clearwater, Seffner, Tarpon Springs, Polk City, Holmes Beach, Feather Sound, Northdale, Bushnell, Lakeland, Brooksville, Leto, Redington Shores, Lake Wales, Westchase, Brandon, Davis Islands, Apollo Beach, Ruskin, Sun City Center, Palmetto, Ybor City, Pinellas Point, Sarasota, Winter Haven, Old Hyde Park Village, Egypt Lake, Bradenton, New Port Richey, Pinellas Park, Plant City, Town N Country, Bloomingdale, Mango, Madiera Beach, Treasure Island, Lutz, Oldsmar, Odessa, Shore Acres, Tavares, Trinity, Thonotosassa, �Bayboro, New Tampa, Wesley Chapel, Tierra Verde, Temple Terrace, Belleair Beach, Weeki Wachee, Ridge Manor, Harbor Island, St. Joe, Largo, Seminole, Bartow, Channelside, Riverview, Lecanto, Cheval, Haines City, Gibsonton, San Antonio, Dade City, Zephyrhills, Floral City, Spring Hill, Clearwater Beach, Coquina Key, Homosassa Springs, Carrollwood, St. Petersburg Beach, Dunnellon, Inverness, Citrus Park, Crystal River, Kenneth City, St. Leo, Gulfport) and the state of Florida, including the Central Florida/Orlando/Kissimmee area (Poinciana, Altamonte Springs, Winter Park, Longwood, Wildwood, Leesburg, Mascotte, Oakland, Groveland, Oviedo, Clermont, Casselberry, The Villages, Maitland, Masaryktown, Darby, Winter Garden, Deland, Deltona, EdgeWater, Daytona Beach). Balloon decor/decorations, too (arches, columns, canopies, centerpieces, etc., for weddings, baby showers, grand openings, dances, golden anniversaries and more). Remember, by packaging activities like balloons, pony rides, face painting and/or a show, you save money. And have more fun!!! Share the fun—tell a friend! Thanks!! !